Ramadan, the period of fasting and prayer for Muslims is one of the Five Pillars of Islam. During this time, the faithful have the opportunity to direct their focus on the goodness of Allah and refresh their spiritual lives. Their participation in this event creates a more purposeful routine for Muslims. This is crucial, particularly if you work in a highly secular work environment. 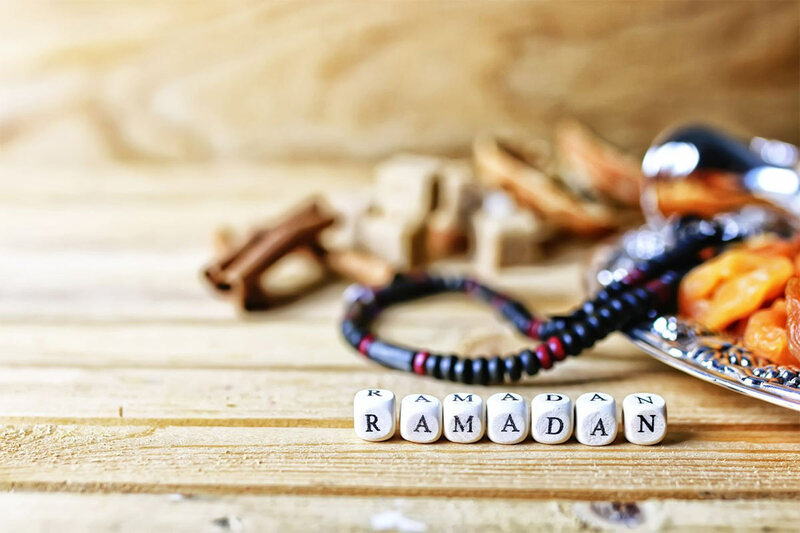 This will allow you to discuss the changes in your routine (including the leaves you will take from work) and work output for the month-long observance of fasting and prayer. Pray to Allah that your employer and your clients will understand the situation and adjustments can be made to accommodate the practice of your faith. Time management is vital during Ramadan — especially if you have decided to celebrate this event in one of the holy cities, which may be rather unfamiliar to you. Decide and write down what you should do with the 24 hours of every day, particularly after suhoor and iftar. Itemise your day. There may be responsibilities you still need to take care of when you return from the mosque to your hotel in Makkah or Madinah. Or, you have certain good deeds to perform for the Creator. Take all these into consideration when you create a specific schedule for the observance of Ramadan. By doing so, you will be able to get the most out of every day and be certain that you will accomplish all of your goals. Creating a capsule wardrobe for Ramadan is a smart move. It is best to limit your clothing selection to a certain number of pieces and set out what you are going to wear for the day the night before. This will help you speed through the morning even if you wake up still tired from the previous day. If you still need to cook for suhoor and iftar (the morning and evening meals to break the fast), it helps to have recipes prepared long before the start of Ramadan. This will allow you to support a healthy diet and sustain your strength for the long hours of fasting and communing with God. If you will be celebrating Ramadan away from home and cannot cook your meals, research on the best places to eat for suhoor and iftar. In your visit to the holy cities, there are excellent international cuisine restaurants you can dine at particularly for iftar. For suhoor, meanwhile, your hotel restaurant in Makkah or Madinah may be the best place to eat. Hotel restaurants are usually ready with nutritious and sumptuous spreads to help you launch into your day. 5. Choose your routes to the mosque. During Ramadan, consider taking different routes to and from the mosque. This will provide you the opportunity to spread your greetings of Salaam (peace) to more brothers and sisters in the faith. Study the layout of the area and determine the many alternative routes you can take. 6. Fellowship more with family and friends. Make the effort to spend more time with your family and friends, and extend your blessings from Allah. Testify about the Almighty’s goodness in your life and uplift one another with love and faith. 7. Create a budget for gifts for loved ones. During Ramadan, you want to be as generous as you possibly can with your loved ones who share the faith. Allah is the great provider and He blesses abundantly. Therefore, be a channel of His blessings to other people. Establish a budget for presents that you can give during the event and start shopping early. This will help you find great deals and ensure you get to give out more meaningful presents. Some of the best gifts to buy are bottles of scents, boxes of chocolates, abaya (modest clothing) for the women, golden fruits, jewellery, and a game of backgammon. You will be able to do what you long to do in service of Allah and be a blessing to the Muslim community. So, long before the event commences, take the time to plan so you can accomplish every one of your spiritual goals. Mohammed Ghanem is the General Manager of Shaza Hotel in the Makkah Governorate in Saudi Arabia. The newly opened 5-star Shaza Makkah is an intimate cocoon of serenity and contemplation to compose oneself for all that life’s greatest journey would require.